Hidden on Forest Avenue, it can be easy to unknowingly walk by Black Bough, Laguna’s newest home interior and design store. But this hidden gem is well worth the hunt. From the moment you step into the store the inventory speaks for itself -- a unique assortment of rare books, one-of-a-kind home products, and gifts galore. The space officially opened on August 1st, 2018 but the boutique has already made a name for itself amongst residents who appreciate the high-end luxury goods which all seem to fit perfectly in their beach town. The actual shop name, Black Bough, was inspired by Ezra Pound's short poem "In a Station of the Metro” -- two lines of prose which simply read, “the apparition of these faces in the crowd // petals on a wet, black bough.” The modern poem is indeed a reflection of the minimalist space and its design. Every inch of space has been mindfully curated with attentive detail by owner Somer Sood who comes from a family of entrepreneurs (her mother and brother both also own stores in Laguna -- Laguna Iguana and Kokopelli, which are located on Forest Ave as well). Working for them while in college fostered her interest in running a business herself, and she’s since found a way to utilize her skills while pursuing her passion for helping others, serving as an aid worker for refugees in Greece and co-founding the non-profit, Operation Rescue Child, which collects funds for refugees. Instead of thinking about what will sell best when selecting items, Sood rather chooses to think about what she would actually like in her own home. This attitude makes all the difference, distancing her from large wholesale stores that aim to churn out mass products that sell quickly. 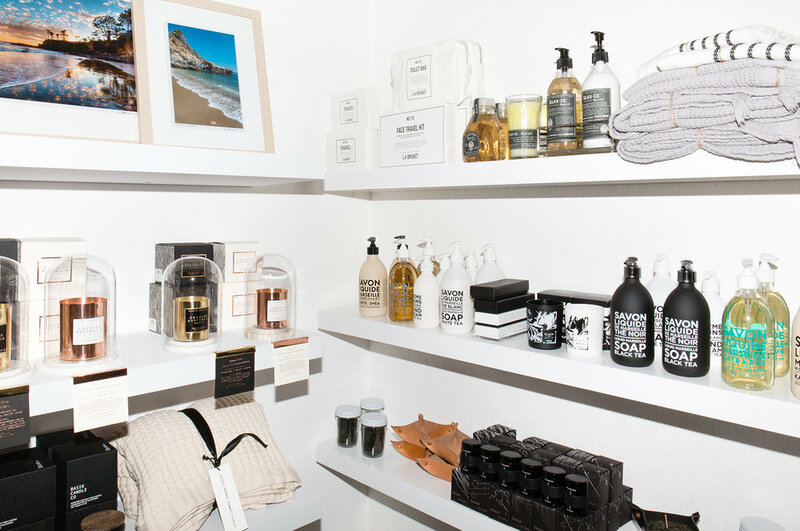 From its impressive selection of coffee table books to handcrafted ceramics and chic travel kits, Black Bough has a bit of everything, somehow aesthetically arranged despite its tiny square footage. While Sood juggles her business while simultaneously contributing positively to the global community she is forever thankful for her hometown. She knows it couldn’t be done without the enthusiastic and supportive locals who appreciate such admirable feats. Black Bough’s goods embody the art of slow living, and its customers prefer to shop in spaces that have intention behind their selections. Residents should keep an eye out on this space still in its first year of business! Gemma Totten loves all things home design and is a regular collector of coffee table books and kitchenware. She comes from the belief that you can never be too prepared. Reach out to her on Instagram at @gemmatotten.